'The Whiteboard Jungle' event, Saturday, Feb. 21st! Author event Saturday, February 21st, 1-3pm. Florey's Books welcomes local author Denise Chase-Kirejcyk. She will be on hand to discuss her new book, "The Whiteboard Jungle". 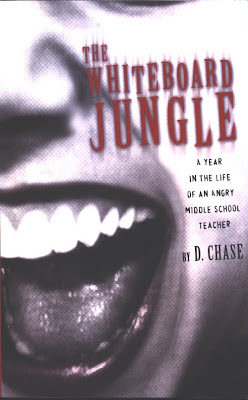 "After teaching school for over twelve years, Denise Chase has written a hilarious,insightful and astonishingly candid journal chronicling one of her years as a middle school teacher. Though comedic, the Whiteboard Jungle has a serious side as well. It gives vivid and often appalling vignettes of students hopelessly preoccupied with themselves and pop culture,officials presiding over a dysfunctional and foundering system, teachers grappling with frustrations and sometimes leaving the profession, and parents deluded into thinking their kids are blameless angels whose poor grades must be the fault of teachers. But the many rewarding parts of teaching are nicely presented too. We meet earnest students who despite grim home lives are determined to succeed, and unruly students who with some prodding decide to turn their lives around. In the end, we experience the pride in seeing 8th graders "cross the stage" and go on to new life challenges. The Whiteboard Jungle should be read by teachers, prospective teachers, and perhaps most importantly by parents of students. All will enjoy the humor and come away more knowledgeable of today's educational system." Also see her recent interview about the book with the Pacifica Tribune!